EdTech Help GuidesED206 Excel TCAHow To Change The Format Of Dates? 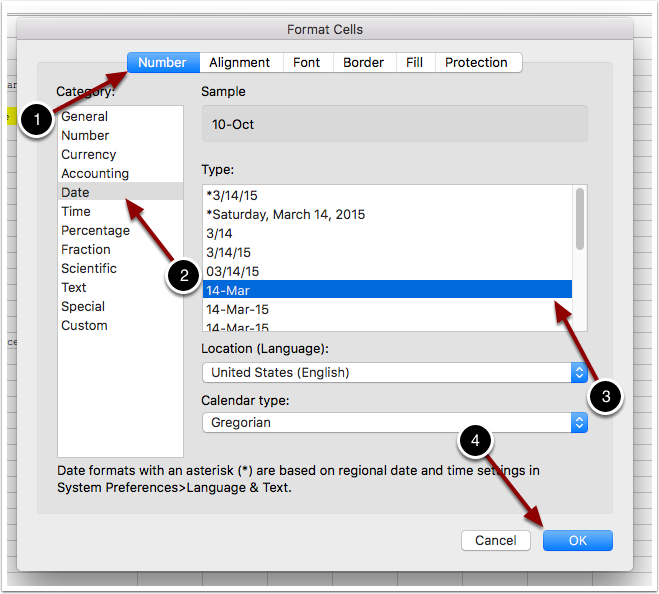 Below are instructions on how to change the format of dates in Excel. Format the dates in the cells in Column 1 to show day and month. Prev: How Do I Adjust The Column Width? 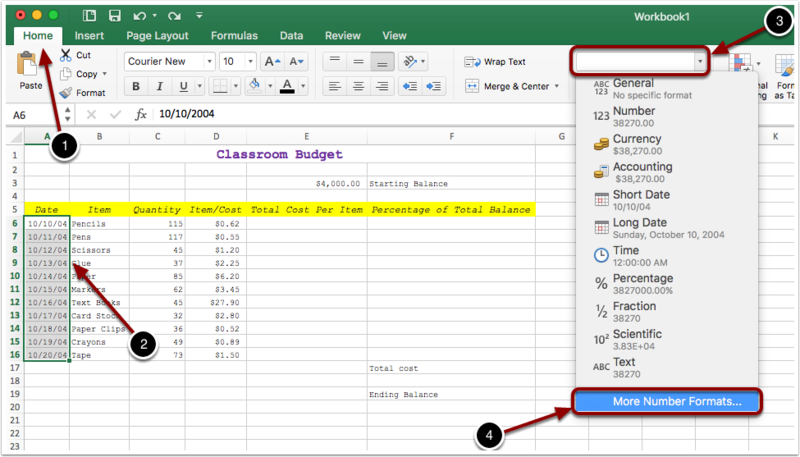 Next: How Do I Complete Formulas And Functions?